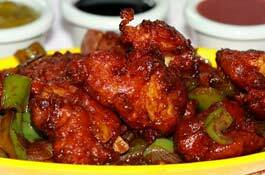 Chill with some Chili Chicken! 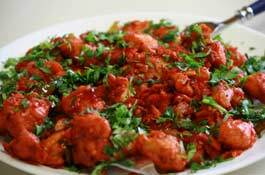 Invigorate you taste buds with some Indo-Chinese and order chilli chicken in MA online. They are not only super yummy but also quite versatile, so you can have it with rice for lunch or pair it with some rice for a filling inner or just sandwich the leftover chicken between some bread toasted in butter, and you are in for an exciting breakfast. And, now with Grabull by your side, you can expect your chili chicken to arrive at your doorstep within a blink of an eye. Most people with a meek palate dread the thought of Asian cuisine because of their generous use of spicy heat in their delicacies. 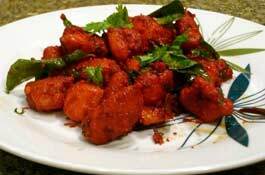 And, when it comes to a dish, which is named after the fiery pepper, it is obvious that most people will be daunted. 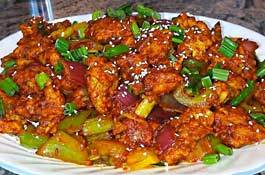 But we shall never judge a book by its cover and a dish by its name because the spice in chili chicken is quite moderate. Most restaurants use sweet chili sauce to add a sweet flavor to the dish and a pleasant edge of spice that will only awaken your palate instead of burning it. We only collaborate with restaurants who value quality of food over everything. So, you can expect your chicken to be fresh and succulent, the spices exotic and zesty and the veggies crisp with freshness in your chili chicken. We have a dedicated team to acquire people who know the value of time especially when one is ordering with a grumbling belly. So, you can expect the best chilli chicken delivery in MA to knock at your door within moments of your order with your food, so you can gorge on it and make your belly a happy place.